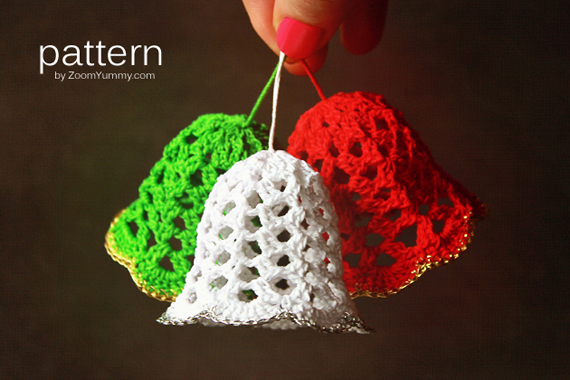 This is a crochet PDF PATTERN for ‘Crochet Christmas Bells’. The bell ornaments that you can create with this pattern are about 2.2 inches (5.5 cm) high and 2.4 inches (6 cm) wide. The pattern that you will receive is very detailed. It comes with a 12-page easy to follow instructional and photo tutorial. The pattern contains 26 helpful pictures to make the project as easy to follow as possible. This project, with its step-by-step photo tutorial, is perfect even for beginners.